Kitchen foil seems to be the best, choice. 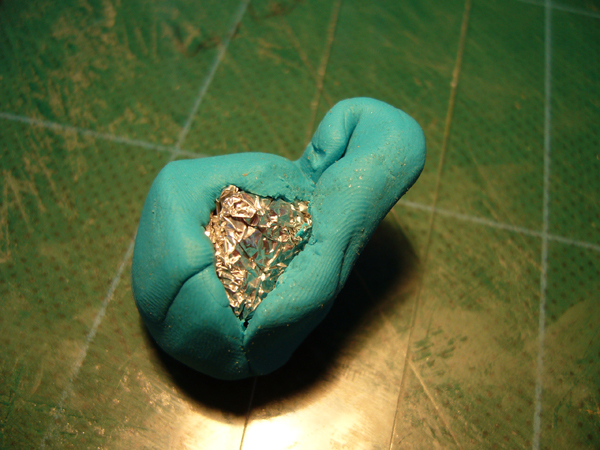 The Fimo sticks well and it is easy to shape the foil to required shape. 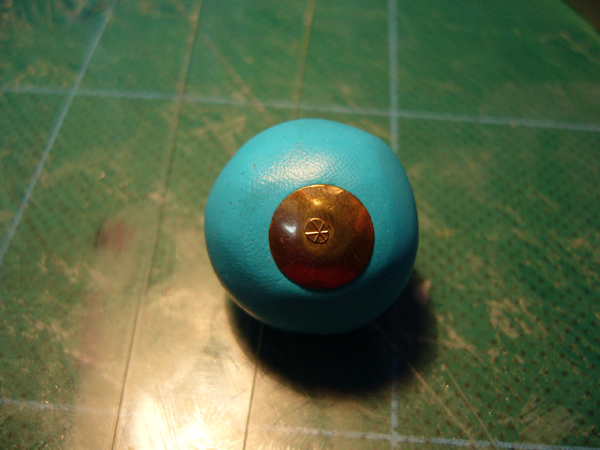 Pic 2 – Round shape with drawing pin. Decided to try a drawing pin to see how Fimo and metal behave in the oven together. No shrinkage. Item put in the oven (25 mins @ 130 degrees C). Pin still removable after baking. Superguled in sucessfully. Sealed with acrylic sealant.